Wayanad, Kerala: The posters were put up at some places in Wayanad's Mundakkai town early Monday morning, Wayanad District police chief, R Karuppasamy, said. 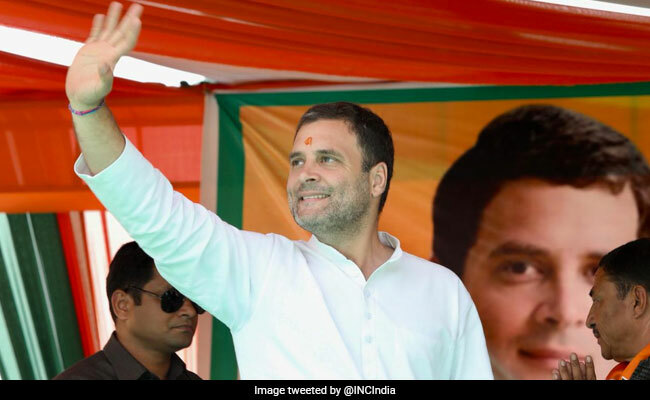 Maoists have put up posters and banners asking farmers and plantation workers in Kerala's Mundakkai, a part of Wayanad Lok Sabha constituency from where Congress President Rahul Gandhi is contesting, to boycott the April 23 elections. The posters were put up at some places in Wayanad's Mundakkai town early Monday morning, Wayanad District police chief, R Karuppasamy, said. "Police have beefed up security and we will be getting additional paramilitary forces. Already one company is stationed in the district," he told PTI. "We are monitoring the situation and have begun investigation", he added. A letter had also been sent to the Wayanad Press Club regarding boycott of the polls, Mr Karuppasamy said. Police have been on high alert in Wayanad since Maoist leader CP Jaleel was killed during an alleged exchange of fire with the police on March 6 this year. Wayanad being a high-profile constituency after Rahul Gandhi declared his candidature, security has been tightened in the hilly district. Mr Gandhi, who was in Wayanad on April 4 to file his nomination, had taken out a roadshow in a massive show of strength along with his sister and AICC secretary of eastern Uttar Pradesh Priyanka Gandhi Vadra. Pinarayi Vijayan Calls Poll Surveys "Big Bluff, Far From Reality"